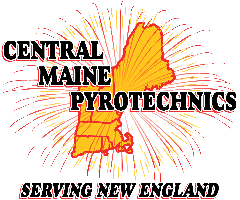 Central Maine Pyrotechnics provides well trained and licensed technicians for each show. Setting up a show can take anywhere's from two hours to twelve hours, and sometimes our technicians get a little goofy. When it is show time all the goofiness stops and its down to serious business. Here are a few images to show you what it takes to set up your Fireworks Displays.